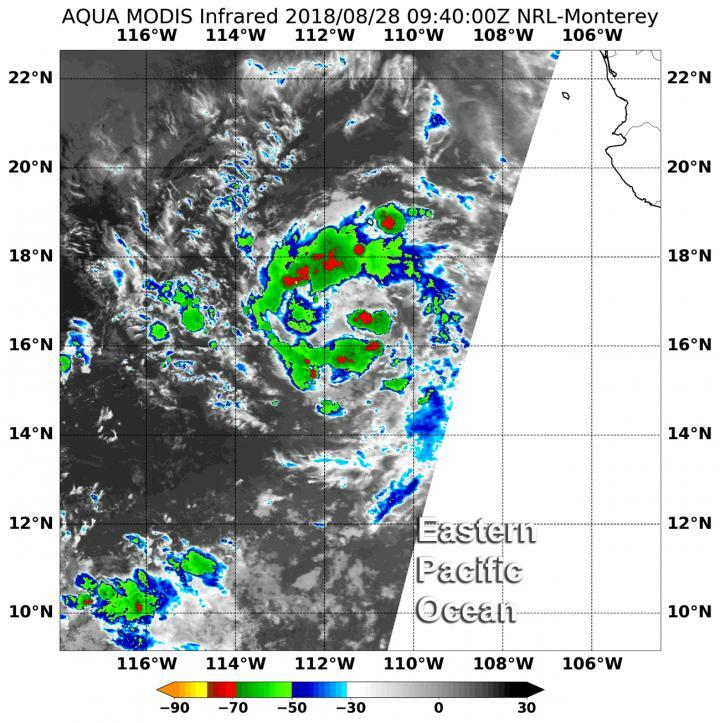 NASA's Aqua satellite saw the sixteenth tropical depression of the Eastern Pacific Ocean come together on Aug. 28. NOAAs National Hurricane Center said "Maximum sustained winds are near 35 mph (55 kph) with higher gusts. Some strengthening is forecast during the next 48 hours, and the depression is expected to become a tropical storm later today or on Wednesday, and a hurricane by Thursday (Aug. 30)."